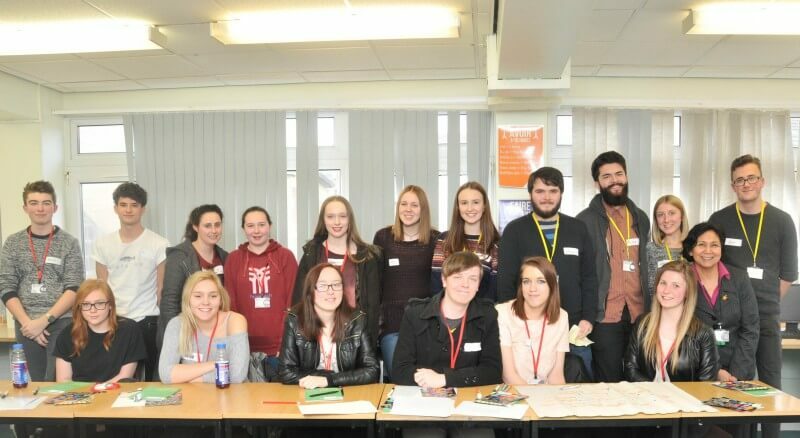 Barnsley Sixth Form College students are taking part in a series of workshops delivered by University of Sheffield students from the Faculty of Social Sciences. The A Level students are participating in Politics in the City workshops which involves discussing and debating current affairs of their choice. The students are also given advice and support with essay structure, debating skills, extension of ideas and writing personal statements. Sixth Form College student Christopher Greenacre, 17, said: “I’ve really enjoyed the workshops, particularly the debates on topics such as Ebola as it’s interesting to hear other people’s views on the matters.